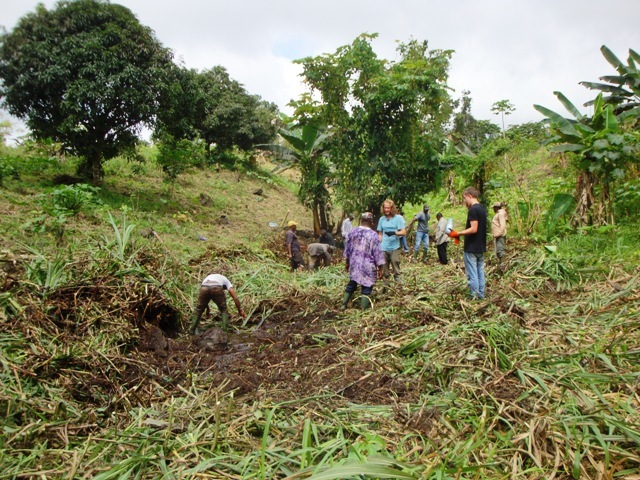 Some community members of the Lower Wonjoku Village came out on Saturday the 19th of September 2015 to assist Green Cameroon’s Team on the Lower Wonjonku Village Community Water Project. 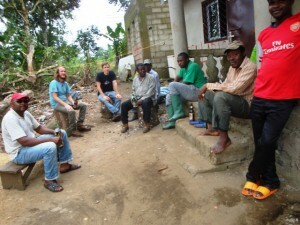 The group which was made up of mostly elderly men including the Chief, Council Chair Man and a police Commissioner said their reason for coming out to assist on the project was to show Green Cameroon’s team that they appreciate what Green Cameroon is doing for the development of their community. 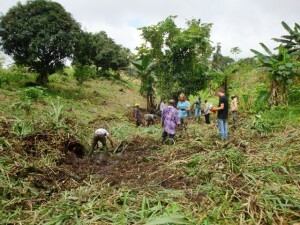 The community members told Green Cameroon’s team that coming up to assist and volunteer their labour on such a Saturday is the least of things they can do to show their appreciation for a project offered to them free of charge. They regretted that most other people would have loved to show up but for the short notice at which the community work was announced. The Chief, Chair Man and other notables promised Green Cameroon that they are ready to provide such labour when ever it is needed for the interest of the project. Green Cameroon’s team was also very appreciative of this gesture from the Lower Wonjoku Community members as it served as a form of encouragement and assurance to show that the work they are doing is being appreciated and valued. Green Cameroon’s Executive Director assured community members that with the kind of support observed, the project will go on smoothly to the end and prayed that every one would be sound and healthy to see and enjoy free, fresh and clean water in the village of Lower Wonjoku. 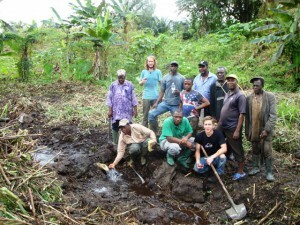 The work done by these men on the catchment site mostly had to do with cleaning up the place to enable proper studies and ground work to go on. Within four hours, work that would have taken the Green Team more than one week was satisfactorily done and the entire group was happy to share drinks and part with lost of joy and anticipation. The project is actually out standing and aim at empowering the local community. I appreciate it and wish i could be part of it. I will like to do voluntary work on Community Development Work. This is my phone number 674609111. I have master in integrated rural development university of Dschang 2016.